This is the weekend! 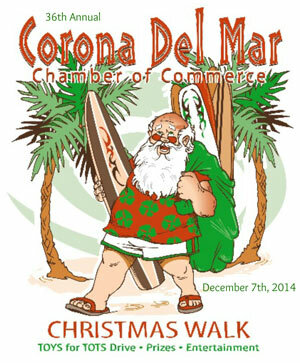 Set some time aside on Sunday 12/7/2014 to enjoy the 36th Annual Corona del Mar Christmas Walk & Festival. The activities start at 11:00 A.M. and continue through 4:00 P.M.
Each year “The Walk” brings together thousands of fun-loving people into the Village of Corona del Mar for live entertainment, food, prizes and games in true holiday spirit!